Golden Lounge will set you up with a generous welcome offer that will give you bonus money on, not just your first, but your first three deposits. It is an automatic welcome bonus, which doesn’t require any opting in or bonus codes to receive your funds. Just sign up, make your deposit on Golden Lounge Casino’s free downloadable software and enjoy straightaway. You can make your deposits using traditional credit and debit cards or you could take advantage of the wide range of e-wallets available like Moneybookers, Click2Pay and ECOCard. Your first deposit will be rewarded with a 100% bonus up to €100, giving you up to €200 in total to play in the casino. For the next two deposit bonuses, you will get up to €50 each in at rates of 25% and 50% respectively. Because of these rates you will need to deposit €200 on your second deposit and €100 on your third to get the full benefit of the bonus. Over these first three deposit you will receive €200 free to use anywhere in the casino, for all casino games such as video poker, blackjack, roulette and craps. With daily offers and new promotions all them, time Golden Lounge Casino is a place where you can keep on winning long after you’ve claimed your last Euro from the welcome bonus. There is also a great loyalty scheme for Golden Lounge’s most dedicated customers. Every day, you can be a winner whether you like playing on slots or casino games with daily deals to keep your gameplay interesting. All fans of slot games can take part in the Golden Lounge Daily Freerolls tournament on the hit Microgaming slot, Avalon. There is a €250 prize pool to share between the top 10 competing players with €75 going to the lucky first place winner. As the tournament progresses, you can see how well you do on the leaderboard for which you will enter a fun alias the first time you enter. Golden Lounge encourages you to be creative, like you are when putting in your highscore on you favourite game at the arcade. The competition runs 24 hours a day so if you run out of luck, you can always try again tomorrow. If slots aren’t your thing, then you can always join in The Fantastic Golden Lounge Bonus Wheel where you can spin a wheel of fortune to win great deposit bonuses. All you have to do is open the Bonus Wheel game and click spin to find out what great deal you will be getting that day. Is it not what you hoped? You can always try again tomorrow for the bigger bonus. Many online casinos offer loyalty schemes because it gives back to the customers who have shown them the best custom. So, to say thank you to all the players who game with Golden Lounge Casino, they are invited to earn rewards just by playing as normal. Unlike other online casinos, who call their statuses or levels, ‘Bronze’, ‘Silver’ and ‘Gold’, Golden Lounge Casino name their Loyalty Program Tiers after gemstones. Just play as you usually would, and soon you’ll be earning points to ascend from Topaz through to Sapphire, Ruby, Emerald and finally Diamond. As you build up your points you can exchange them for casino chips and unlock cash and bonuses along the way. When taking part in any online casino promotion, your participation will always be subject to terms and conditions and there are some things to keep in mind before you opt in to that great offer. Nearly all bonuses offered by nearly all online casinos come with playthrough or wagering requirements. This means once you have received bonus money or winnings from free spins, a certain amount has to be wagered before it can withdrawn. At Golden Lounge Casino this is typically set at 40x which means if you get €10 in bonus, you will have to wager €400 to release it as cash. Different games contribute different amounts to the wagering requirements with slots, keno and scratch cards contributing 100% and table games such as baccarat and video poker contributing 0-50%. This is worth familiarising yourself with, so you can opt in to bonuses that suit your gaming style. 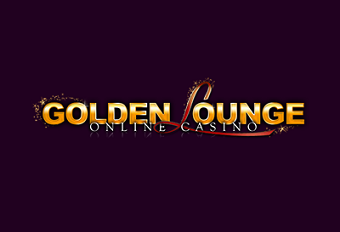 Golden Lounge Casino is owned by the 32red group and they reserve the right to limit the number of new players taking advantage of their welcome bonuses across their brands. If you play with any other casinos, be sure to check who owns them and what offers you have participated in as you will be excluded from taking part in Golden Lounge promotions if they are also part of the 32red group.